Los Angeles, CA – Community organizations representing consumers, low-income workers and communities of color petitioned Insurance Commissioner Ricardo Lara today to ban the use of occupation and education to set auto insurance premiums. Many California auto insurance companies charge lower-income and less-educated drivers up to 15% more in order to give discounts to doctors, lawyers, other well-paying professions, and drivers with college degrees. The surcharge is illegal under California’s insurance reform law, Proposition 103. The organizations signing the petition include: United Policyholders, Public Advocates, Presente.org, Neighborhood Assistance Corporation of America, La Casa de la Raza, KIWA (Korean Immigrant Workers Alliance), Courage Campaign, Consumer Watchdog, Consumers for Auto Reliability and Safety, Consumer Federation of America and Consumer Action. An analysis of online premium quotes revealed that seven of the ten largest auto insurers in California overcharge drivers without college degrees or higher-paying professions. The surcharges at Farmers, GEICO, Progressive, AAA, Allstate, Liberty Mutual and Mercury range from 3.5% to 14.7% based on a person’s occupation and education level. State Farm, USAA and AAA Northern California do not use education or occupation as rating factors. Farmers Insurance charges a factory worker a 14.5% higher annual premium than either an accountant or a physician ($1,523 vs. $1,330). Progressive Auto Insurance charges a factory worker 6.3% more in annual premiums than an attorney or a physician ($878 vs. $826), and an office manager with a high school diploma 6.3% more than the same driver with the same job who has an undergraduate degree. GEICO charges a factory worker 14.7% higher annual premiums than the same driver who is a corporate CEO ($977 vs. $852). The surcharge for drivers insured with Allstate was 3.5%, 8.1% with AAA, from 5% to 10% at Liberty Mutual and from 3.7% to 6.5% at Mercury. 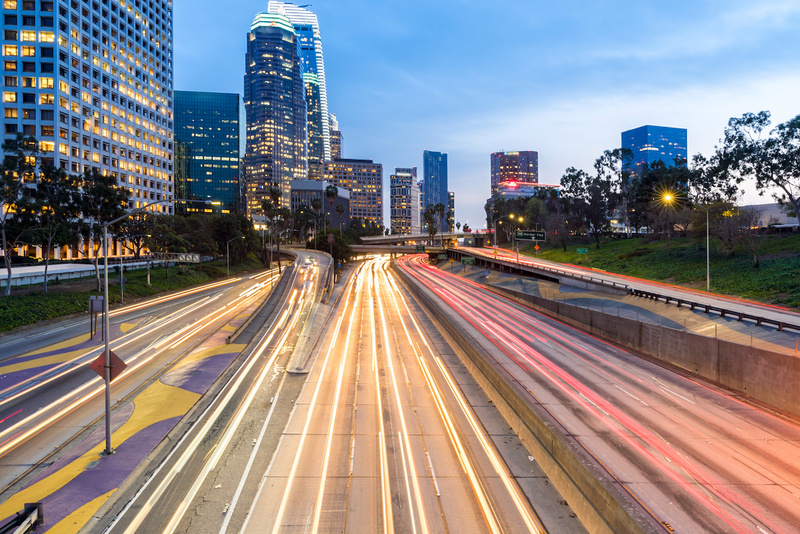 California’s insurance reform law, Proposition 103, requires auto insurance rates to be based primarily on a driver’s safety record, miles driven and driving experience. It banned the use of arbitrary and irrelevant personal characteristics to discriminate against drivers. Companies must prove any additional rating factors are “substantially related to the risk of loss” and be approved by the Commissioner. Companies are using occupation and education illegally because they have never been approved under Prop 103. “Voters banned insurance redlining with Prop 103 by requiring insurance rates to be based on how you drive, not who you are. Insurers are using job and education as an end run around those protections. It’s time to put a stop to this illegal and discriminatory pricing for California drivers,” said Carmen Balber, executive director of Consumer Watchdog. Communities of color are the hardest-hit by this discriminatory pricing. In 2017, just 32.6 percent of Californians over the age of 25 had a bachelor's degree or higher. That number falls to 12.2 percent of Latinx and 24 percent of black Californians with a bachelor's degree or higher. Latinx and black Californians also earn lower median incomes than white Californians. Undocumented Californians in particular are most likely to have jobs in low-paying industries like agriculture, child care, restaurants, hotels and construction. These communities all pay more to subsidize discounts for drivers with better-paid professions, said the groups. “ALL Californians deserve to be treated fairly when they get auto insurance, especially since they are required to have insurance, in order to drive a car,” said Rosemary Shahan, President of Consumers for Auto Reliability and Safety. Most insurance companies do not disclose the financial impact of occupation and education surcharges on low-income and less-educated drivers. However, Farmers’ October 2018 rate filing provides enough data to approximate the financial impact on its policyholders. Approximately 1.2 million “regular” drivers insured by Farmers each pay, on average, $99.21 more per year than the higher-income professionals in the company’s Business and Professions Group I program. Collectively, that overcharge for Farmers customers amounts to approximately $125,441,124 a year based solely on a driver’s occupation. Massachusetts bans the use of education and occupation to set auto insurance rates, and New York prohibits the use of such factors unless an insurer can demonstrate that it would not result in unfairly discriminatory rates. At the time the New York regulation was adopted in December 2017, Liberty Mutual and Allstate had already agreed to eliminate their use of education level and occupational status to rate drivers in that state. Click here to view the press conference slides showing how some companies are using job and education to set auto insurance rates.